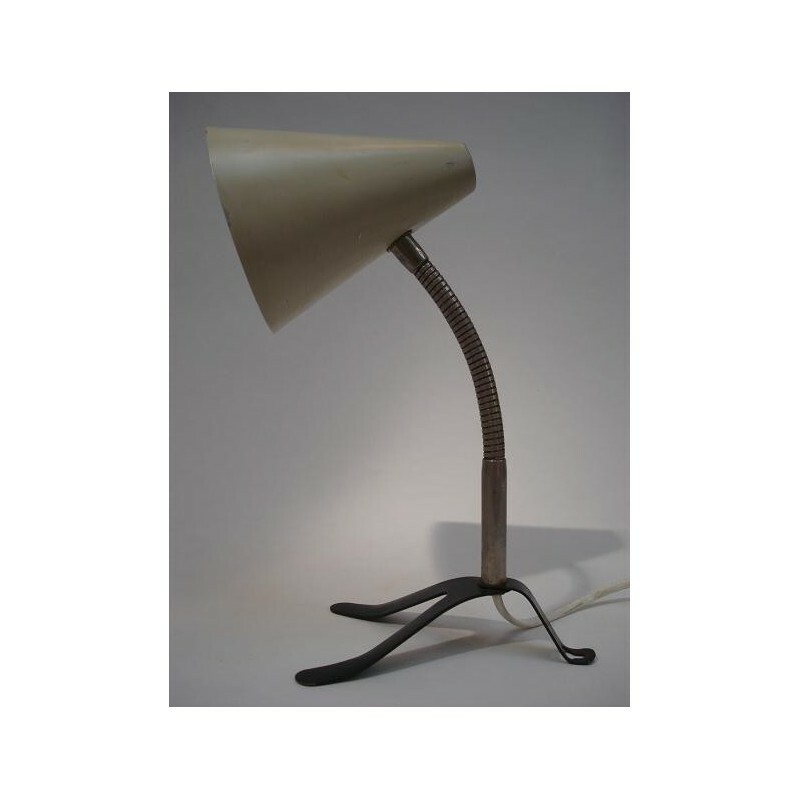 Rare lamp of the Dutch brand Hala Zeist. The lamp is marked and it is possible to use it as a desk and as a wall lamp. 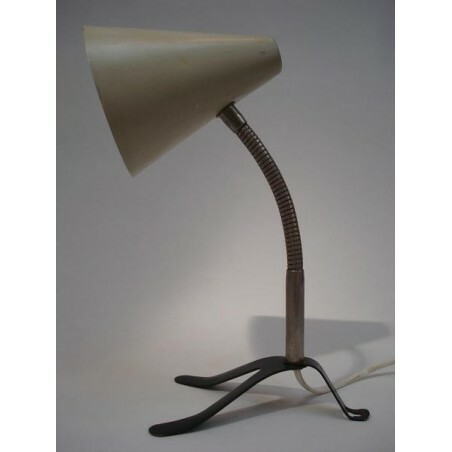 The lamp has a nicely shaped foot. To the flexible arm is a light grey coloured cap. The condition is good. The dimension is 26 cm high and the cap has a dia meter of 10,3 cm.